Crop insurance products can help manage risk by supporting income in bad times. When perils beyond the farmer’s control significantly reduce revenues, crop insurance can provide indemnities that can help support lost revenues. 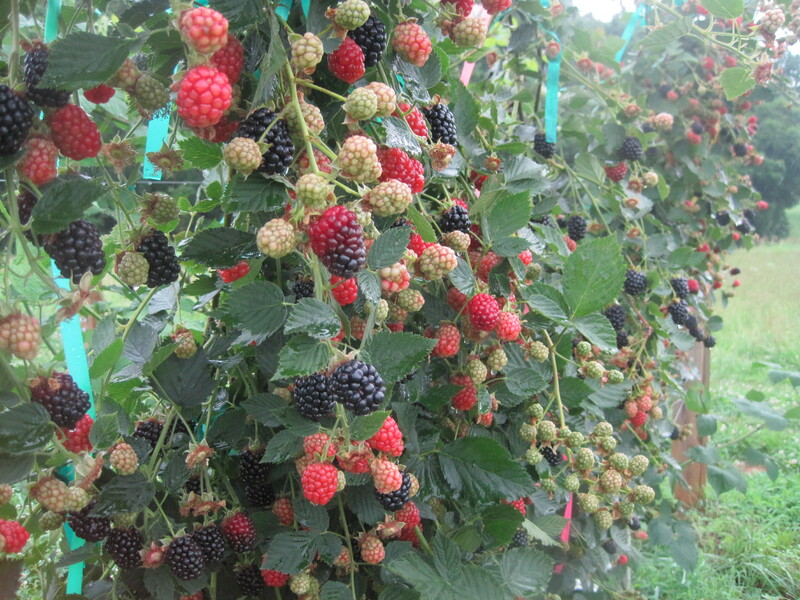 In this way, crop insurance can serve as an important safety net for blackberry and raspberry growers. Crop insurance as a safety net is not free; there are premium costs. This means producers have to ask themselves the following: Does my operation need a safety net in the form of crop insurance? How much am I willing to pay for this crop insurance? If I want crop insurance, what types of insurance are available and what type do I need? NAP is a “crop insurance” product for crops that are not currently covered under the traditional federal crop insurance program administered by the Risk Management Agency (RMA). It is similar to the RMA’s catastrophic (CAT) policy where payments are made to producers when they experience losses greater than 50 percent of their average yield. For more information about NAP coverage click here. AGR-Lite is the only crop insurance product administered by the RMA that could protect blackberry and raspberry growers against both yield and price risk. AGR-Lite is a whole-farm revenue protection plan of insurance that covers multiple crops and/or livestock. Because of this broader protection, AGR-Lite is typically more costly than the NAP coverage. It is typically highly subsidized and it allows the producer to have coverage greater than 50 percent. AGR-Lite is especially well-suited for growers that have diversified operations. For more information about AGR-Lite click here.